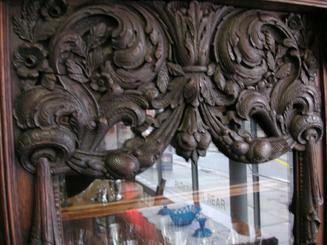 THIS NICE WALNUT GERMAN BOOKCASE COMES APART FOR SHIPPING. ADJUSTABLE SHELVES. 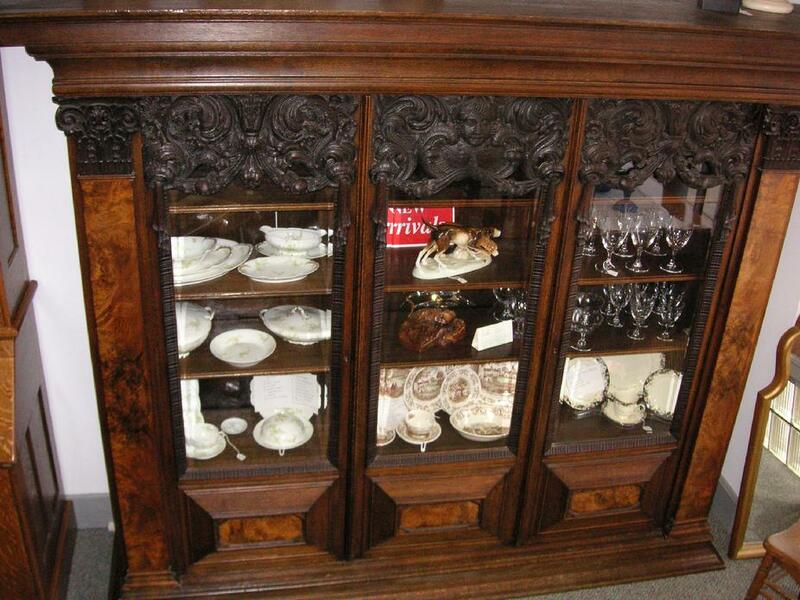 This bookcase with 3 glass walnut doors is from 1850's. Purchased in Berlin, Germany and moved to the U.S. in the 1950's. 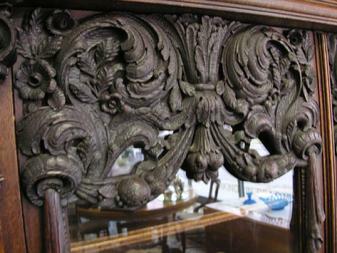 It is an unusual cabinet/bookcase in a classical design. 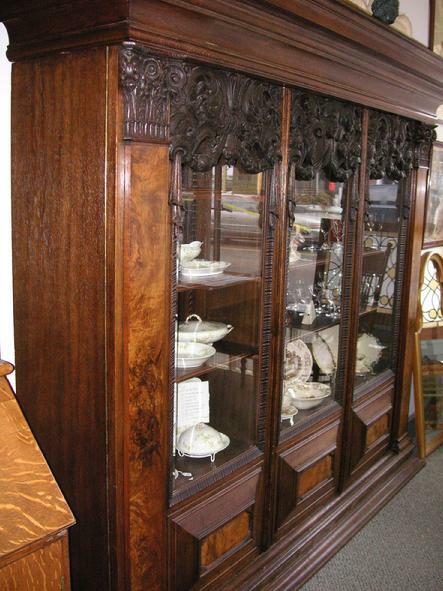 The cabinet has carved black walnut and burled walnut doors in the front of the bookcase. 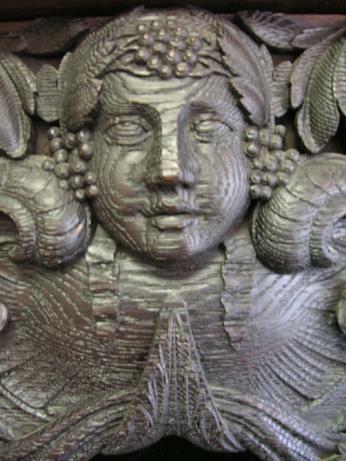 Across the top is a carved crown and on the top corners of the doors is an applied carving (see photos). The front doors has a flat very heavy glass panel. 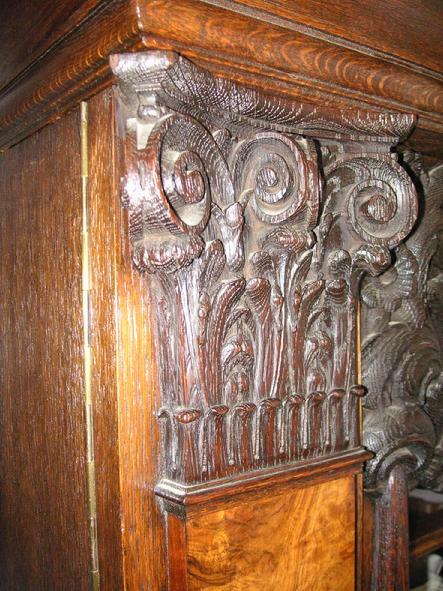 The craftmanship of this cabinet/bookcase is exceptional. All of the locks on the cabinet/bookcase doors are not working (see photos). 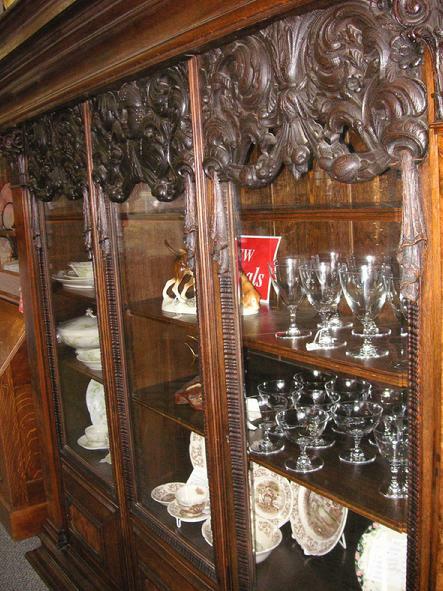 The cabinet has 8 oak shelves with nice edges. The left side measure 27" and the right side measure 49" (see photos). All shelves measure 12 1/2" deep. 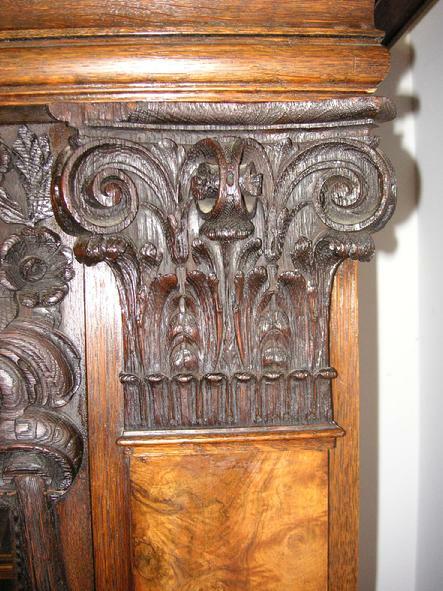 As you can see in the close up photos the color & grain of the walnut is really quite exceptional. 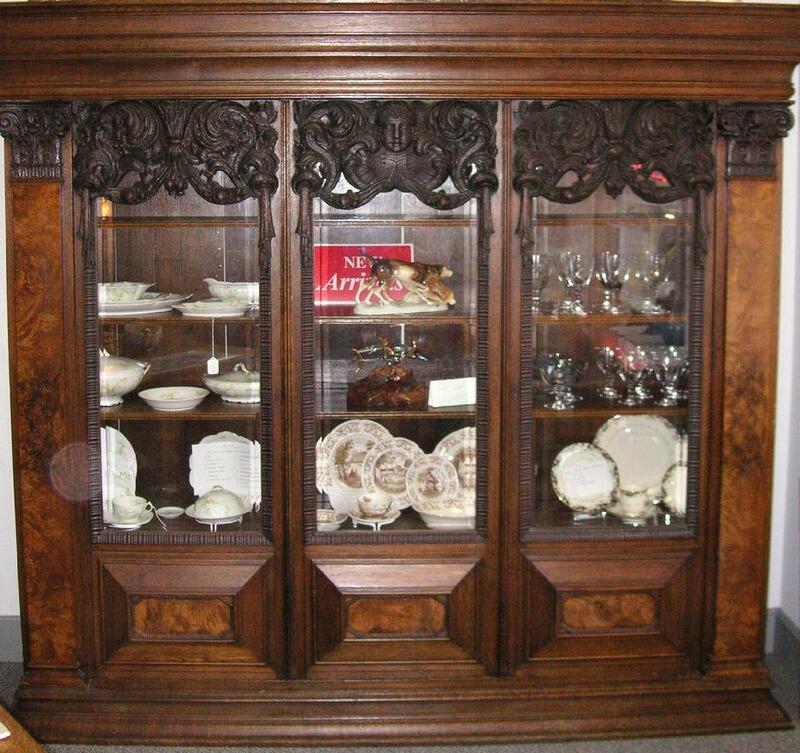 This is a massive bookcase measuring 93" wide x 75 1/4" High x 16" deep and weighs several hundred pounds.